My friend, Wendy, sent me this great article from AgriNews this weekend about honeybees and their importance to agriculture. It’s a good reminder about we have to protect the honeybees and get more people interested in beekeeping. Here is the link to article online. INDIANAPOLIS — Honeybees and agriculture can coexist, explained an experienced beekeeper, entomologist and manager of the Bayer Bee Care Center. Or rather, he stressed, they must. He said it is very clear there is a honeybee health problem emerging from a variety of factors. He mentioned Colony Collapse Disorder, the name given to the sudden reduction in bees leading to the collapse of their colony. Rogers said growers, scientists, seed companies and people involved in agriculture must look for multiple causes of CCD. While honeybees themselves are not at risk of becoming extinct, commercial beekeepers are, Rogers warned. Beekeepers, like other farmers, are pushing to survive in a tough economy that limits them from expanding their operation, he added. Varroa mites and tracheal mites continue to plague commercial beehives and contribute to bee deaths, and entomologists are planning and monitoring for the incidence of the Tropilaelaps mite in bee populations, as well, Rogers said. Last April, entomologists at Purdue University revealed the results of studies showing that the neonicotinoid insecticides used in popular seed coatings were present in the dead bodies of bees and that seed treatments that remain in the soil from one planting season to the next may be causing bee kills. With planting season just around the corner, beekeepers and commercial crop growers likely are wondering what this year will bring in terms of planting conditions and crop protection products and strategies from Bayer. Rogers said an integrated bee management plan is needed, similar to an integrated pest management plan. This option would include monitoring, management and control. “Beekeepers are at the mercy of the landowners, so one good thing growers can do is provide forage, access and security for honeybees to survive,” Rogers said. Following the launch of its Bayer Bee Care Program last February, Bayer CropScience has established Bayer Bee Care Centers — one in Germany and another in North Carolina, the second of which will open this year, he said. Scientists at the bee care centers will study management techniques for breaking the life cycle of the Varroa mite, Rogers said. The Bayer Bee Care Center in Monheim, Germany, will have a full-time team of specialists, including two experienced beekeepers. Additional activities will be rolled out by the Bayer Bee Care Program, which includes educational projects and bee health promotion schemes, including the planting of flowers and natural habitat essential for bees to thrive. Rogers said integrated bee management will take good education, for one. “This will be a difficult year for beekeepers to recover from bee losses,” he added. 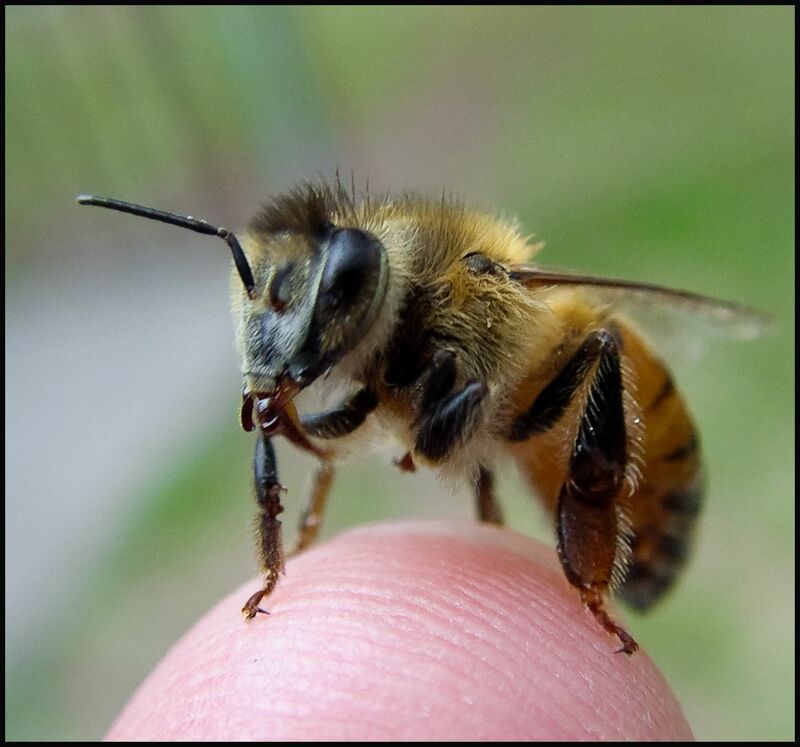 The bee management strategy will include taking a hard look at the Varroa mite as an efficient vector of viruses and a harmful pest in the beekeeping industry, Rogers noted. Beekeepers, like grain and specialty crop producers, also are aging, and a younger generation of beekeepers is needed to bring new perspectives to the industry, he said. He also recommended that growers provide good forage and habitat for bees, citing the Xerces Society as a source of information for bee-friendly plants and seed mixes. 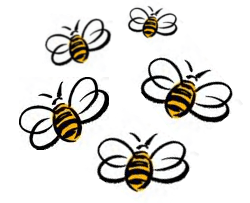 The Iredell County Beekeepers Association monthly meeting was last night. When Matt and I attended the New Beekeepers school last month, our fee for school also paid for our annual dues to the association. It was the second meeting that we have attended and I am really glad that we went. There was a record crowd (or so we were told) last night. I overheard someone say that 73 people showed up. I can confirm that it was SRO (that’s “Standing Room Only”) and that it was very, very warm. We were sitting on top of each other with little elbow room. I am going to take personal credit for the upsurge in popularity of beekeeping in Iredell County, NC. I’m blogging about it (we’ll ignore my very limited audience), I’ve posted the awesome picture of me in my beekeeping suit on social network sites, and I talk about it to lots of people. I mean, is really coincidence that so many people are getting into beekeeping just as I am getting into beekeeping? Uh….yea. Just a coincidence. I’m 99.99% sure. One thing that Matt and I have already learned about keeping bees — everyone has an opinion on how to handle a situation. And everyone has told us to find the way that works for us and use it. The way to install a package that made the most sense to us was to take out 5 frames from one side of the hive, spray the bees in the package with sugar-water, remove the sugar-water and the queen cage from the package box, hang the queen cage between two of the remaining frames in the hive, shake a couple of handfuls of bees on top of the frames with the queen, then set the entire package box into the hive where the five frames were removed. Leave alone for 7 days, come back and remove the box and replace the frames. The veteran beekeepers also shared tips on splitting hives. That was interesting, as well, but not as relevant to us at this stage. The association has talked about creating a mentor program for newbies, especially to help them through the first couple of years. I would LOVE it this would get up and running. Several beekeepers offered to let us work with them when they were tending their hives. Hope we get the chance. I can’t wait to have my first bee on my finger! I dreamed about bees last night. I was at a place, like a resort, where everything was in bloom. The drive to the resort was covered by a huge arbor that was in full bloom and bees were buzzing everywhere. They were like a giant cloud. While most people were driving under the arbor, safely in their cars, I walked down the drive, amidst the millions of bees and none of them stung me. I dream I can fly in a lot of my dreams. In this one, I dreamed I was flying with the bees. Before you ask, NO, I didn’t have pollen sacks on my legs and I wasn’t doing any waggle dances. I didn’t dream I WAS a bee. I just dreamed that I was flying with bees. Shut up, haters. I’ll be going for therapy soon. Born in the mountains of North Carolina into a large family; lots of friends and stories. I started to blog because I wanted to be sure that the stories in our family were shared, but I have found that I share more about myself.